The Neuri are one of the only mentions in ancient sources of a specific Baltic tribe. The prompt for this was the Persian invasion of Scythia at the end of the sixth century BC, which was recorded by Herodotus in Book IV of his history. One of the tribes he mentions is the Neuri, along with the Androphagi, Budini, and Melanchlaeni. Marija Gimbutas especially uses Herodotus to locate the Neuri by establishing the Pripet marshes to be the natural border between Scythia and the Neuri. The Neuri dwell beyond the Scythian farmers who inhabit the land, at a distance of a three day journey towards the east and an eleven day voyage up the Dnieper starting from Hylae on the Black Sea. From this it appears that the land of the 'Scythian farmers' occupies the lower and middle Dnieper basin, and can be equated with proto-Slavs. The Neuri are considered by Herodotus to be a separate people, one which lives to the north of the Scythian farmers. Their neighbours were the Androphagi, who are identified with the Mordvins of central Russia, to the east of the lower Oka. Herodotus describes the Neuri as having Scythian customs and not being related to the Androphagi who are in no way Scythian. This distinction between Neuri and Androphagi may refer to the difference between Indo-European and Finno-Ugric peoples. Further historical accounts concerning the Neuri can be traced to the fourth century AD. Roman sources localise the Neuri at the headwaters of the River Dnieper (in modern Belarus). Modern academia, largely in the form of Slavic and Baltic linguists, has long discussed the question of the nationality of the Neuri. Some maintain that they were Slavs, others Balts. The root ner-, nar-, nur- appears both in the Slavic and the Baltic languages, providing no solution. River, lake, and village names with the root ner- and nar- are extremely frequent in the Baltic lands, in Lithuania and Latvia and in the former East Prussia, Belarus, and the western regions of greater Russia. The words 'ner-ti' and 'nar-dyti', meaning 'to dive, submerge', are living words in the Lithuanian and Latvian languages. Furthermore, the earliest Russian chronicle of Nestor in the eleventh century AD mentions 'Neroma' as a name for the province which pays tribute to the Rus and which is presumed to be Latgallia or an area to the east of modern Latvia. It is possibly a survival of the earlier name for the Baltic tribe as used by the Finno-Ugrics, 'Neromaa' ('maa' in Finno-Ugric languages meaning 'land'). From the archaeological point of view, the culture of eastern Latvia and the upper Daugava-Dvina basin in the time of Herodotus and later is culturally inseparable from that of the area around Smolensk, Moscow, Tula, Kaluga, and Brjansk. These locations all show traces of occupation by the Plain Pottery group. Even in Nestor's time, after the Slavic expansion into modern Russia, the archaeological finds in the surviving Baltic enclaves between the upper Dnieper and upper Oka rivers show a very close relationship to the finds from eastern Latvia. So the links between the Neuri of Herodotus and Nestor's Neroma are not improbable. The claim for the Neuri being Slavs is largely due to the fact that when, from around 1900 onwards, linguists tried to explain 'Neuri' as Slav, the Baltic culture was too little known from archaeological sources for it to be supposed that the Baltic tribes could have lived in Belarus and the western regions of greater Russia, to the north of the Pripet swamps, and in the upper Dnieper, Desna, and upper Oka basins. This area does in fact correspond with the territory of the Neuri which Herodotus describes as being beyond the borders of Scythia, north of the 'Scythian farmers' (Slavs), and in the neighbourhood of the Mordvins (Androphagi). This is where one of the strongest arguments can be found, since the eastern Balts and not the Slavs are the western neighbours of the Mordvins prior to the Slavic expansion into Russia which occurred a thousand years later. It is therefore highly probable that the Neuri were eastern Baits, although the name itself apparently is distorted. The eastern Baltic lands could have been called 'Nerava' or 'Neruva', which are typical naming forms for Baltic provinces. For instance, the names for Latvia and Lithuania, ancient *Latuva and *Leituva, have the same suffix and are believed to have originated from the river names Lata and Leita. Except for mentioning that the Neuri have Scythian customs, Herodotus does not give any other clue as to their way of life or appearance. As the centuries have gone by, the Scythians have become involved in wars against the invading Persians. Thanks to this the northern tribes are also disturbed. Herodotus describes these wars in Book IV of his history, these being the earliest surviving written records concerning the history of Eastern Europe at the end of the sixth century BC. Herodotus mentions and approximately locates the seats of the Neuri, Androphagi, Melanchlaeni, Budini, and other tribes living to the north of Scythia. With the Pripet marshes seemingly the natural border between Scythia and the Neuri, the latter dwell beyond the Scythian farmers (Slavs) at the headwaters of the Dnieper (which Herodotus calls the Borysfen, meaning 'river from the north'), in what is now Belarus and probably northern Ukraine too. Their neighbours are the Androphagi, identified with the Mordvins of central Russia, to the east of the lower Oka. The Scythians seek help from the northern nations to counter the Persian attack, but the chieftains of the Neuri, Androphagi, Melanchlaeni, Agathyrsi, and Tauri do not agree to be Scythian allies. It is not clear from Herodotus' account how much the lands of the Neuri are affected by the invasions, but he says that the Melanchlaeni, Androphagi, and Neuri offer no resistance to the Scythians and Persians. Historical accounts concerning the Neuri can be traced to the fourth century AD. 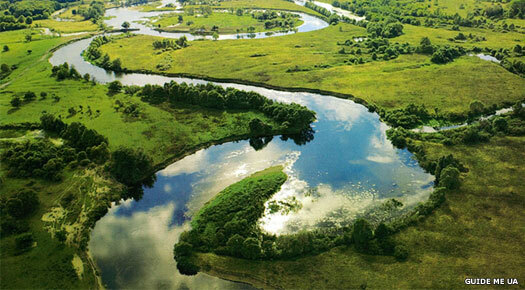 Roman sources localise the Neuri at the headwaters of the River Dnieper (Latin Danapris, in modern Belarus). The earliest Russian chronicle of Nestor mentions 'Neroma' as a name for the province which pays tribute to the Rus and which is presumed to be Latgallia or an area to the east of modern Latvia. It is possibly a survival of the earlier name for the Baltic tribe as used by the Finno-Ugrics, 'Neromaa' ('maa' in Finno-Ugric languages meaning 'land'). Even in Nestor's time, after the Slavic expansion into modern Russia, the archaeological finds in the surviving Baltic enclaves between the upper Dnieper and upper Oka rivers show a very close relationship to finds from eastern Latvia, so the links between the Neuri of Herodotus and Nestor's Neroma are not improbable. In this same eastern realm, the Eastern Galindians have already been recorded by Russian chroniclers as the Goliadj (in 1058), and have been the target of a Russian campaign (in 1147). There appear to be no further mentions of them by the Russians - or of Neroma - but the eventual absorption into Russian society of both groups probably takes several more centuries.